Aerial view of Toronto Lester B. Peasrson International Airport. Thirteen years ago Corporate Knights launched its Best 50 Corporate Citizens in Canada ranking, which has since shone a light on companies with the best sustainability and disclosure practices. But over these years, only the giants have been ranked. That’s because the Best 50 only tracks companies with revenues of $2 billion or more and at least 2,000 employees. While this limits the field, particularly in a country the size of Canada, it was necessary at the time. Only big companies had the resources to reliably measure some or all of the 12 key performance indicators that Corporate Knights tracks, and where there is no measurement we can’t begin to talk about disclosure. The good news is that disclosure rates have steadily increased over the past decade for the giants. Under the radar, however, have been smaller companies. True, they still don’t have the same kind of resources as their larger peers. But rising awareness of the importance of resource productivity, good governance and social responsibility seems to be having an impact on all businesses – large and small. It is for this reason Corporate Knights feels the time is right to start showcasing those Canadian corporate leaders that are part of the sub-$2-billion crowd. We do it in this issue with the launch of our inaugural Future 40 Responsible Corporate Leaders in Canada ranking. We began with a starting universe of 213 companies. Partly, these are publicly traded companies that disclose environmental, social and governance data that ends up being collected by data aggregators such as Bloomberg. The rest are non-publicly traded companies that submit their ESG reports to the non-profit Global Reporting Initiative, which promotes standards for sustainability reporting. Out of our starting universe, we found that the disclosure rate for each of the seven “first-generation” sustainability indicators – that is, energy use, GHG emissions, water use, waste production, employee turnover, lost-time injury rate and total payroll – was above 10 per cent. For GHG emissions, the disclosure rate was an impressive 23 per cent. 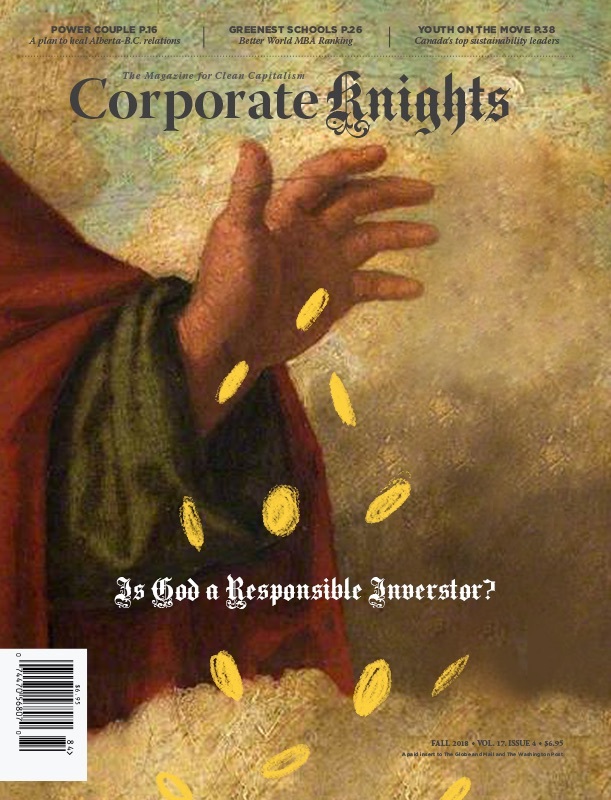 Corporate Knights plans for the Future 40 to be an annual ranking. We see it, to use a sports term, as a kind of farm team that feeds future sustainability leaders into the big leagues of the Best 50. It highlights the up-and-comers to watch, and sends smaller companies a message: How you use resources, how you govern yourself, and how you treat employees and the communities in which you operate matters to investors, customers, suppliers, consumers and citizens. Last year, Corporate Knights launched a mobile app designed specifically to help smaller companies get into the sustainability reporting game. Called CK Ranker, it lets companies build their own profile, enter data across 12 key sustainability indicators, create multiple scenarios, and compare their current or planned performance against larger peers listed on our Best 50 or Global 100 ranking of companies. You can learn more by going to CKRanker.com, or download the free basic version of the app from Apple’s App Store and kick the tires, so to speak. The Pro version, if you decide to go for a serious drive, is only $10. Meanwhile, smaller firms already tracking their sustainability performance should report their data to the Global Reporting Initiative. For publicly traded companies, make sure Bloomberg is tracking you.